MJHS girls basketball tryouts will be held on Monday, April 22nd and Wednesday, April 24th from 3-5pm at the Moody HIGH school gym. This is for all rising 7th grade girls (current 6th graders). 3:00 – 5:00pm on the soccer practice field by the Football Field house. MJHS Football is currently conducting Spring Workouts. All raising 7th graders interested in playing football next year are welcome to join. April 1, 2, 4, 8, 9, 11 after school until 4:15. April 15, 16, 18, 22, 23, 25 after school until 5:00. MMS will do our best to keep you all in the loop with new tryout dates as they come. They update the MJHS website daily. Look over their "Announcement" page (www.mjhs.sccobe.org). 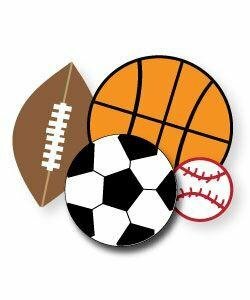 Each student MUST have current physical on file with the MJHS office to tryout for ANY sport. The physical form may be downloaded from this message. You may turn in the forms to the MMS office. We will give them to MJHS. If your child is leaving MMS on a bus (basketball) or walking to the MHS Field House (Soccer and Football) with a coach to tryout, please let us know. This is considered a change in transportation. The student will not be allowed to go without your written permission.